Mick has over 30 years experience within the Automotive Industry, his achievements are down to hard work and his commitment to succeed. Mick having a sales managerial back ground has helped Parksafe Automotive to be where it is today. He has created a valuable team with a wealth of knowledge from all backgrounds of the Automotive Industry. Matt is Managing Director of the Eden Group of companies, which acquired Parksafe Automotive in 2005. Matt has worked closely with the Managing Director Mick Barber over the last few years in helping Parksafe achieve its successful growth. Matt continues to help in all aspects of the business. Matt has 25 years’ experience in the Automotive industry and has always been interested in the latest automotive technology during his career. Liam joined us in May 2014 after graduating from Nottingham Trent University. Liam brings a wealth of new energy to the company. Liam works with passion to succeed and continues to broaden his knowledge in all areas of the business. Liam is responsible for the accounts within the Midlands, he continues to offer a high level of customer service to his customers. Julie works within our accounts department, Julie has worked within the local government for over 30 years. Julie was looking for a new challenge, with that Julie brings to the table a wealth of experience in customer service. 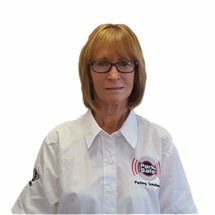 Julie is highly organised and offers a friendly and helpful approach on a daily basis. 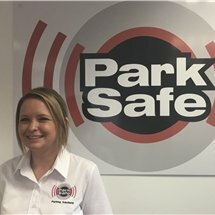 Julie is excited to start her next adventure here are Parksafe! Cheryl is known for her enthusiasm and inspiration and has become a valuable member of our team and continues to demonstrate a high level of customer service. Abbie started with us under an apprenticeship scheme, Abbie has now completed her apprenticeship and has grown from strength to strength. Prior to joining Parksafe, Abbie completed a college course within Business. She is now looking to gain some valuable experience from Parksafe and expand her knowledge throughout the company. Abbie is always happy to help and will do her utmost to fill any requirements that you may have. Daniel joined us in August 2013 as a warehouse assistant, through his hard work and dedication to Parksafe he was promoted to Warehouse Manager. Daniel has become an asset to our company; he continues to take his job position seriously, which is demonstrated through his daily duties. Chris has become an asset to Parksafe Automotive and has gone from strength challenging himself every day to approve his own personal goals. We value Chris as a team member at Parksafe Automotive. 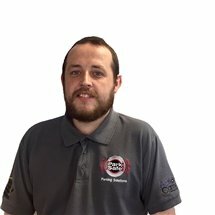 Chris joins Parksafe Automotive after recently achieving a business degree, he has taken on the role as a sales manager for the north west within our automotive and commercial division. Chris has a passion to provide a high level of customer service, generated from his friendly and approachable nature. 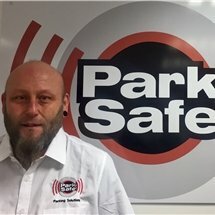 John has recently joined Parksafe Automotive, John offers a wealth of knowledge within the industry, he has taken on the role as sales manager for the West country, he is known to go the extra mile to ensure his customers get good quality service. 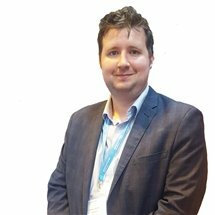 Mark brings a wide range of knowledge within the Aftermarket sector, Mark has been involved within the Automotive Aftermarket industry within the North and the Scotland areas for a number of years. 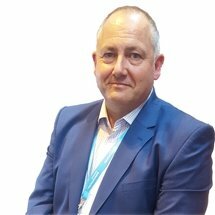 Mark has been involved within the sales and service sector and believes customer service is the key to success! Mark would be more than happy to help given the opportunity. 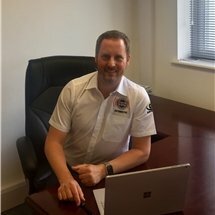 Steve has had a varied career covering sales within the body repair sector, motor factors (automotive and commercial) in the UK and internationally. 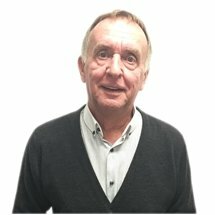 Pete comes to Parksafe with a wealth of knowledge within the Automotive industry, having over 30 years of experience, we welcome Pete to Parksafe Automotive with open arms. Pete is here to develop specific accounts within each sector, Pete always welcomes any enquiries that you may have. Pete is a people person and loves to engage with customers regularly, so he is always happy to help whatever it may be. Robert brings a wide range of knowledge within the Aftermarket sector, Robert has been involved within the Automotive Industry for over 25 years. Robert has gathered a number clients throughout the years, predominantly within the North and Scotland areas. Robert welcomes you and would be more than happy to help given the opportunity.